If you haven’t heard yet, a spanking new and hip wedding venue in Kuala Lumpur city centre has opened its doors to engaged wedding couples looking for that effortlessly chic and cosmopolitan wedding venue. Kuala Lumpur new art hotel, RED By Sirocco, Kuala Lumpur opens its doors recently for the sophisticated traveller looking for a stay beyond ordinary. Strategically located at the Dang Wangi enclave tucked within KL’s charming historical architecture, RED By Sirocco is also a stone’s throw away from Heritage Row’s vibrant nightlife. 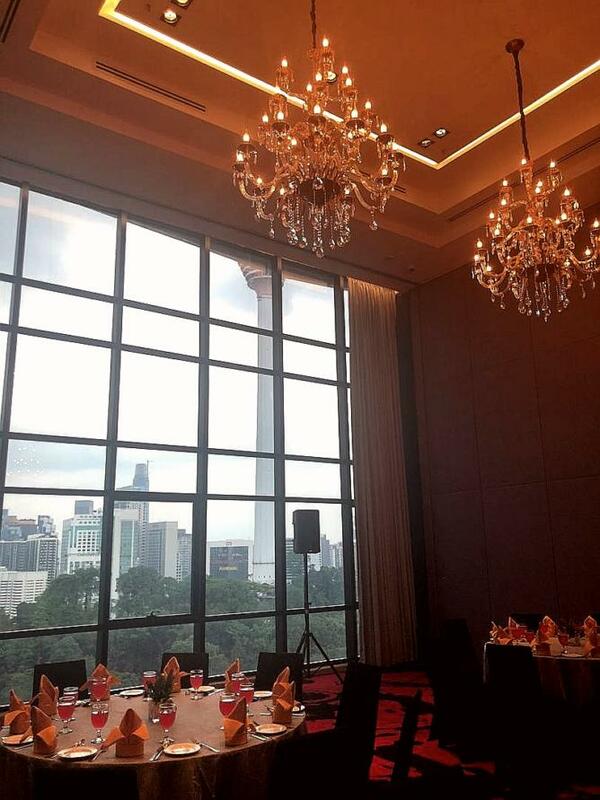 This new Kuala Lumpur wedding venue with a gorgeous view features full panelled glass windows on either side. 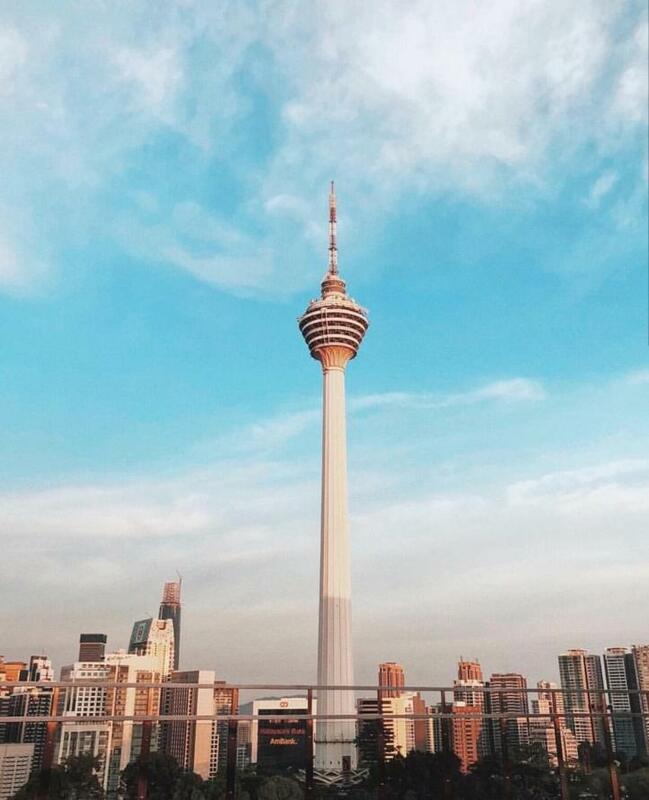 This unravels the enchanting view of KL skyline; in particular, the iconic KL tower on one side, and the majestic KLCC Twin Towers on the other. 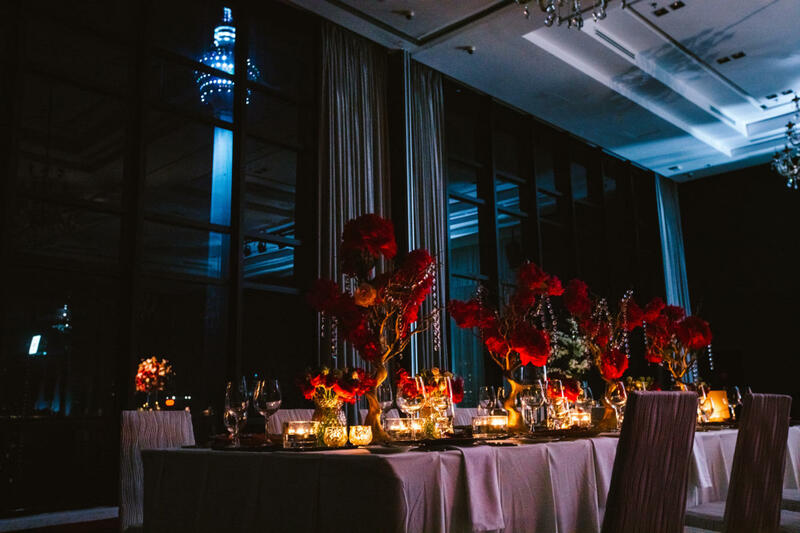 One could not get a better view of the vibrant Kuala Lumpur city skyline at their wedding reception celebration whilst wining and dining their guests through the night. 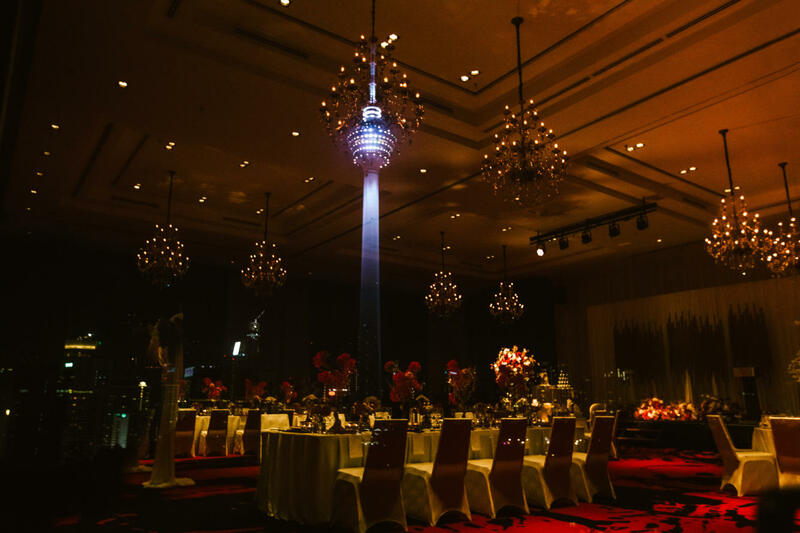 Stunning views aside, the high ceiling pillarless ballroom – 19 feet to be precise – is adorned with crystal chandelier and its dramatic black and red carpet gives this new KL wedding venue an effortlessly chic, cosmopolitan wedding reception idea for the urban engaged couple, especially those who gravitate towards stylish wedding celebrations. 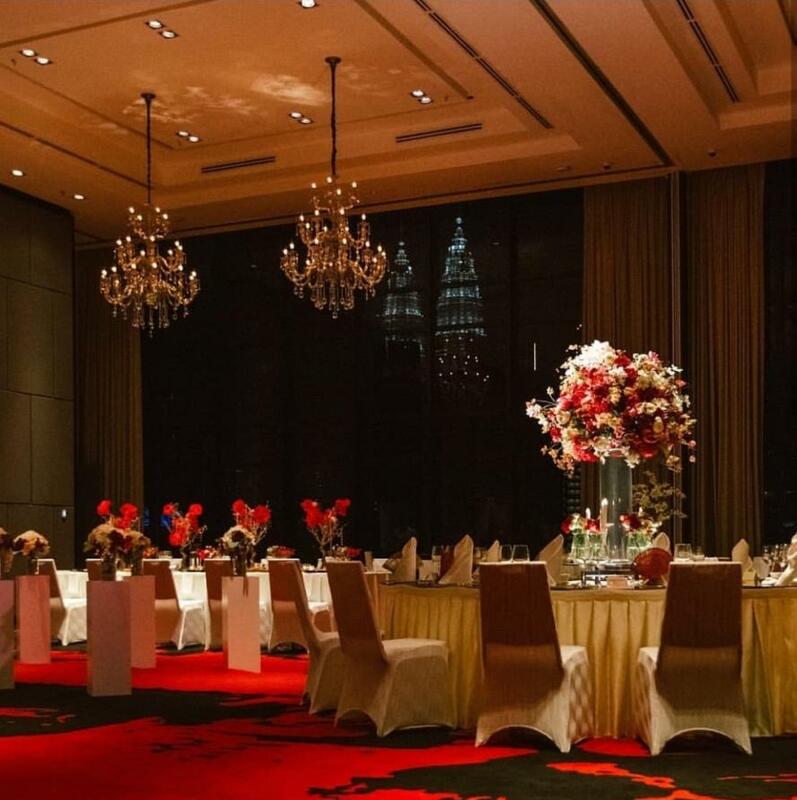 Priced from RM1,588 nett per table, the grand ballroom accommodates up to 25 banquet tables – seating 250 guests comfortably – and comes with a few perks such as complimentary use of the ballroom state-of-the-art 24 feet wide LED panel, a customisable 8-course wedding menu, 1-night complimentary stay at the bridal suite with 45 mins massage for the couple and more. The new RED by Sirocco, Kuala Lumpur is the first of many hotels to be unveiled under the Sirocco Hospitality Group – the hospitality brand under M101 Group Of Companies. Inspired by the essence of Dang Wangi which is famous for local boutique art galleries, CEO of Sirocco Hospitality Group, Datin Lea Chan’s collection of art pieces by local artists are displayed at the hotel’s lounge area for RED hotel’s guests’ enjoyment. Meticulous in planning, down to the finest details with elements of Sirocco hospitality, the hotel invested and is the first to introduce a ‘fully-automated self-parking’ in Malaysia, a definite point in gaining convenience with your wedding guests. 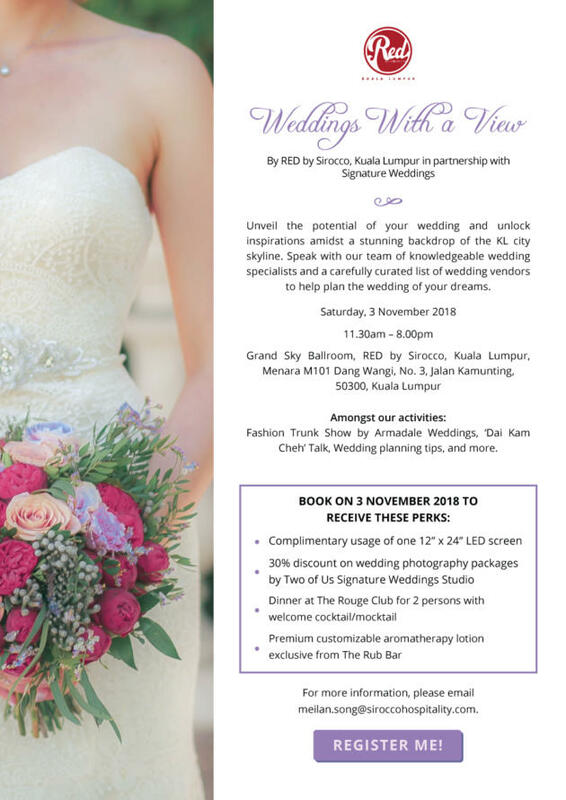 On November 3, 2018, the hotel will host its inaugural boutique bridal event in partnership with selective and renowned Kuala Lumpur’s wedding vendors. 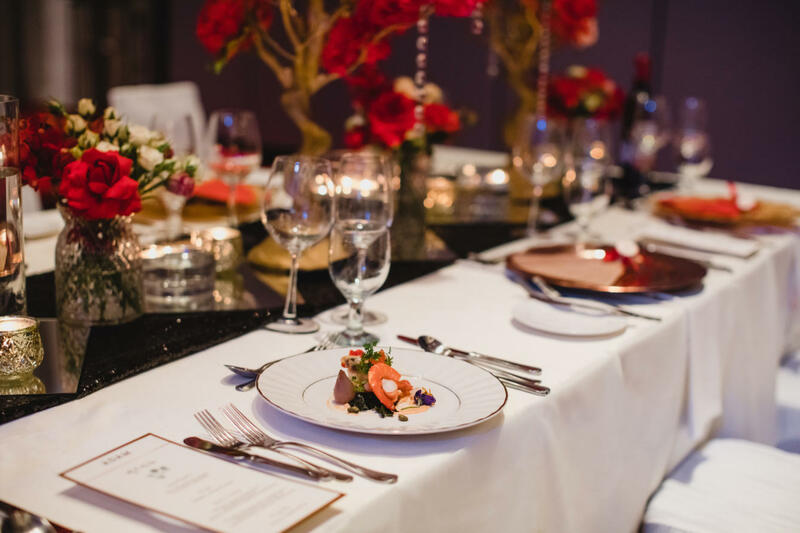 RED by Sirocco will be hosting a private wedding menu trial dinner amidst a stylish wedding setting by Tailored Florals. Held at the rooftop overlooking Kuala Lumpur’s cityline against a stunning evening sunset in the backdrop, guests will be treated to an exclusive bridal trunk show as you dine on a specially prepared set menu by the hotel chef to the Western, Chinese, Malay and Indian and fusion cuisines. Exclusively for 25 couples only, get up close and personal to learn about planning a stylish wedding from Meg of Tailored Floral as you dine on the exclusively prepared-for-you dishes by the hotel’s culinary team. You will also receive customised aromatherapy lotion by The Rub Bar, a charming hand-bouquet for the ladies by Tailored Floral, be in the running to a complimentary 1-night stay at RED by Sirocco, Kuala Lumpur and Luxury Floral Box by Tailored Floral. To register for the event, head here. Throughout the day, meet and greet Kuala Lumpur’s best wedding vendors lined up for you at the bridal event. Doors will open from 11.30am with a light lunch served at 1pm. Right after lunch, feast your eyes on Kuala Lumpur’s latest wedding dress designs at the trunk show scheduled for 2pm. Not to be missed is a talk by trendy ‘Dai Kam Cheh‘ Kenneth Lim on ‘The Do’s and Don’ts of an Auspicious Wedding and Marriage‘. There will be exclusive deals for your wedding preparations and of course lots of prizes to be won. To register for the event, head here.